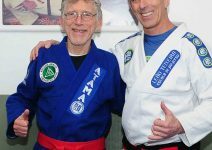 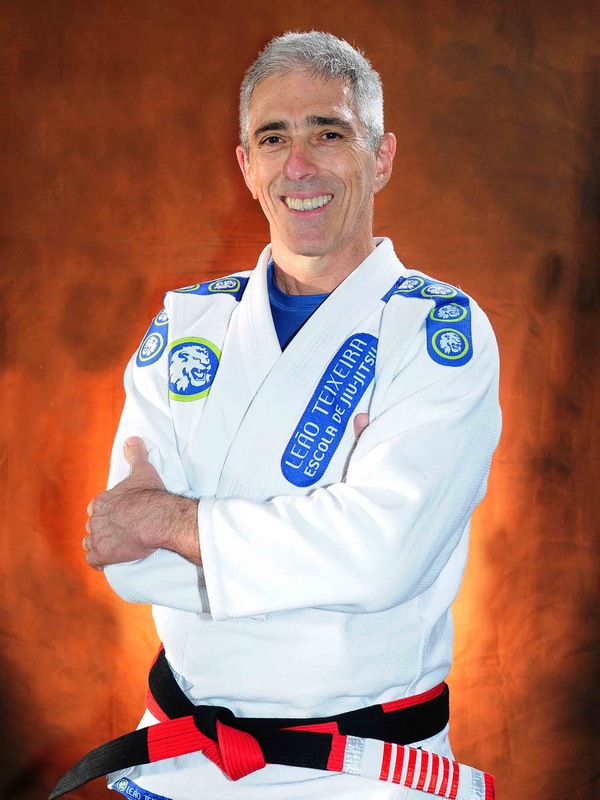 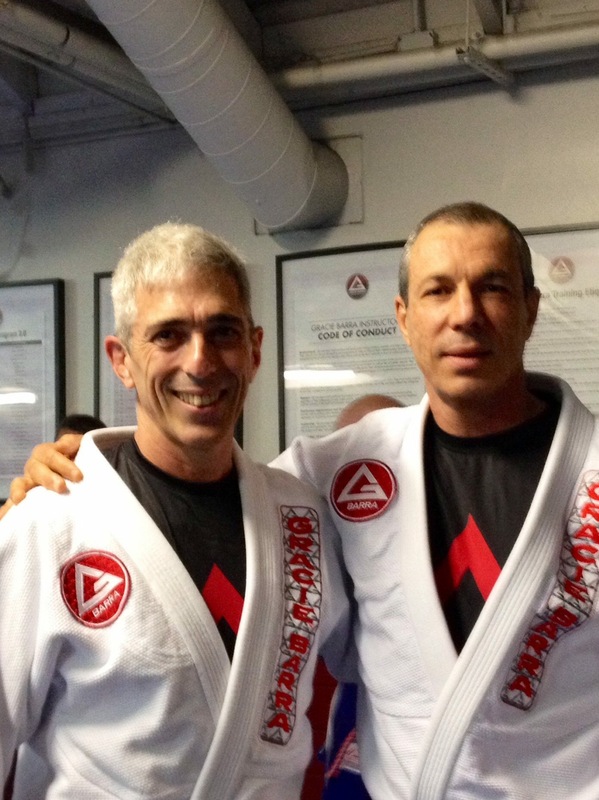 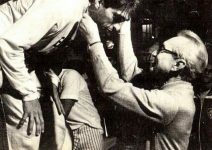 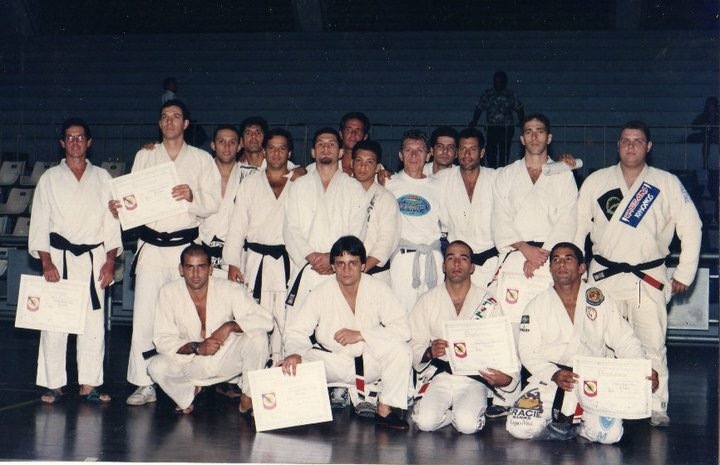 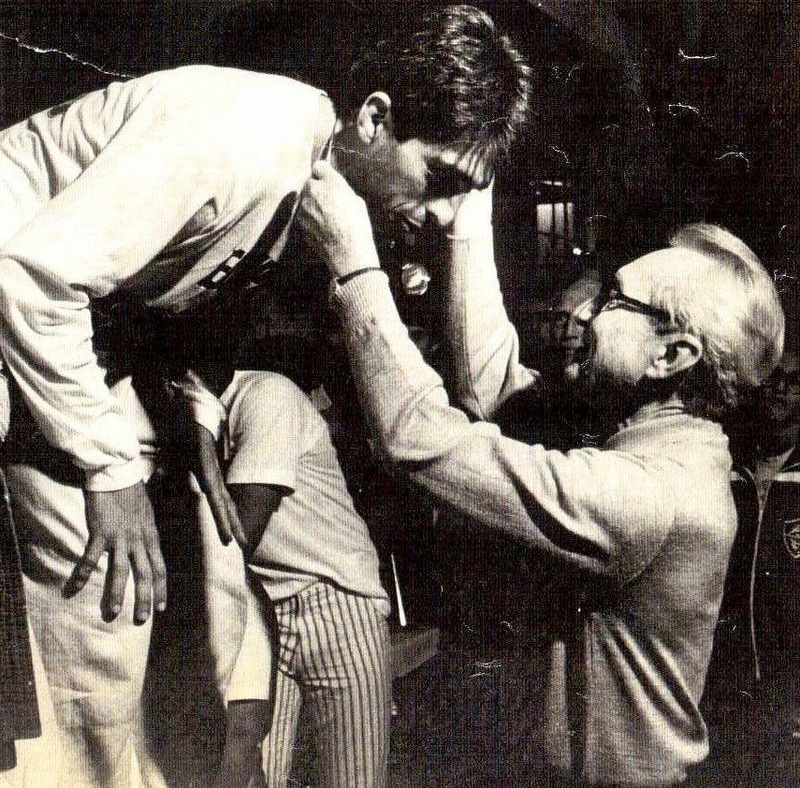 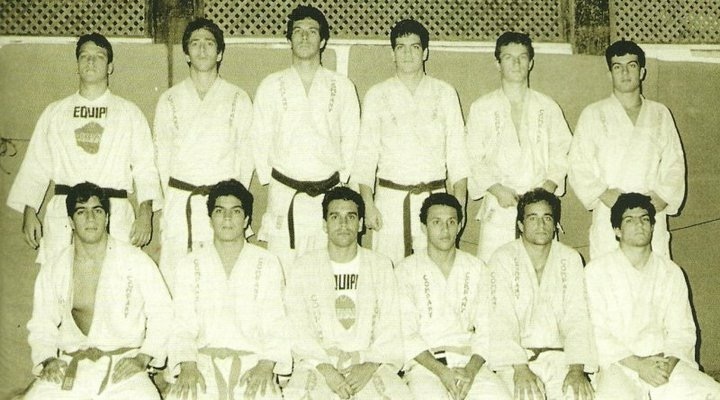 31 years ago our Master begun his path on the black belt. 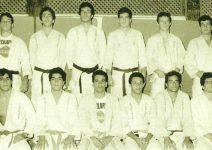 There were numerous challenges which made him grow gradually with patience and dedication. 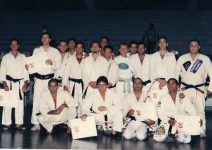 Students, instructors, professors and friends were part of this journey. 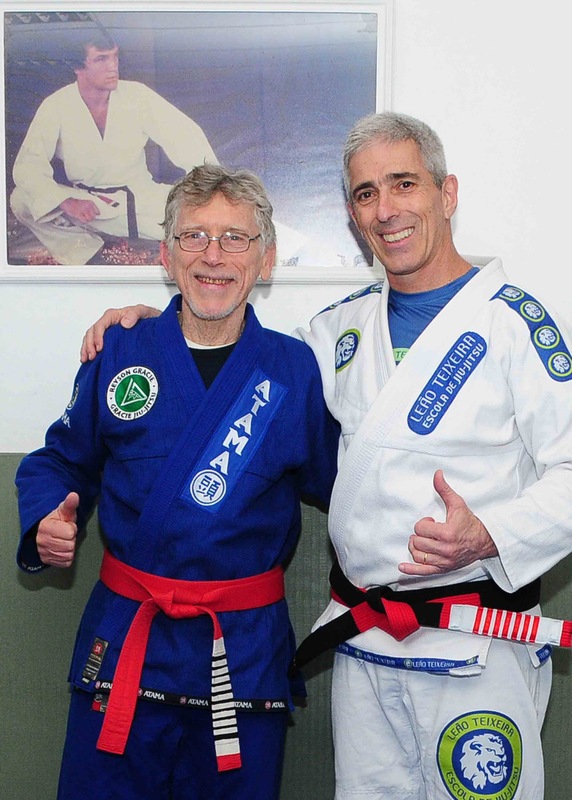 Each year he perfected his physical and mental training developing his technique. 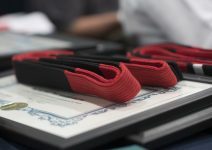 The reward came with the Coral Belt! 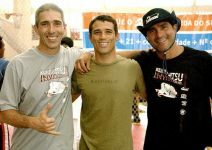 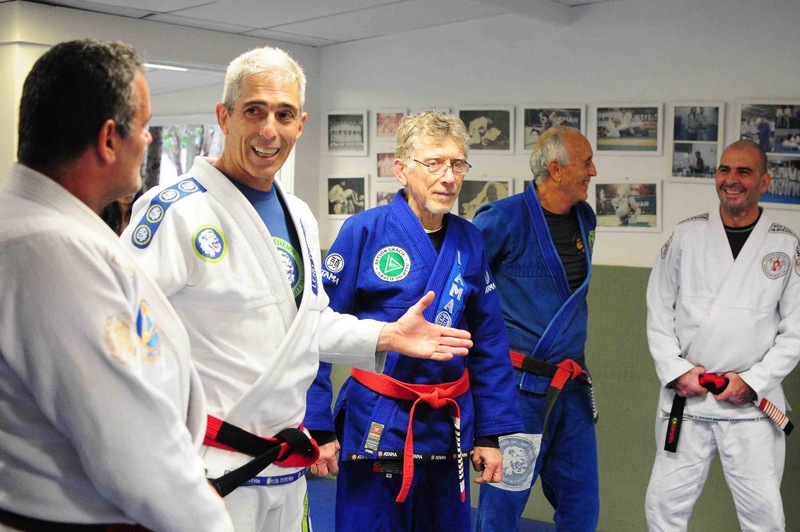 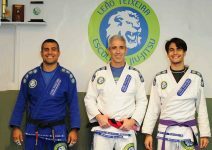 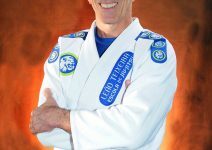 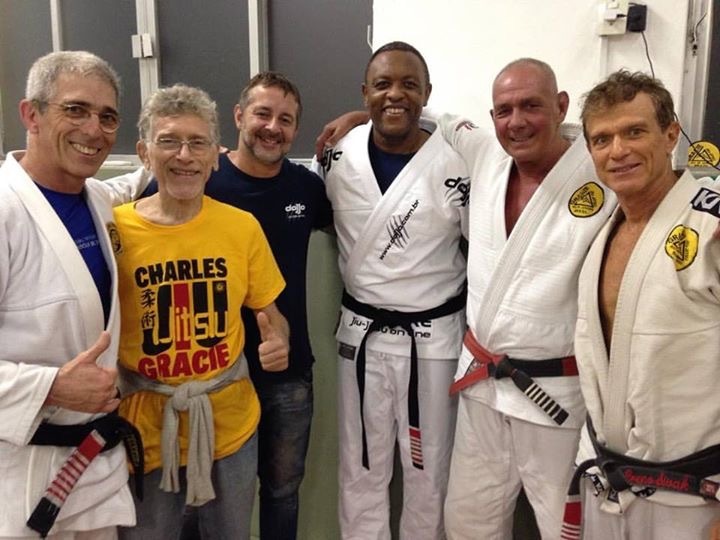 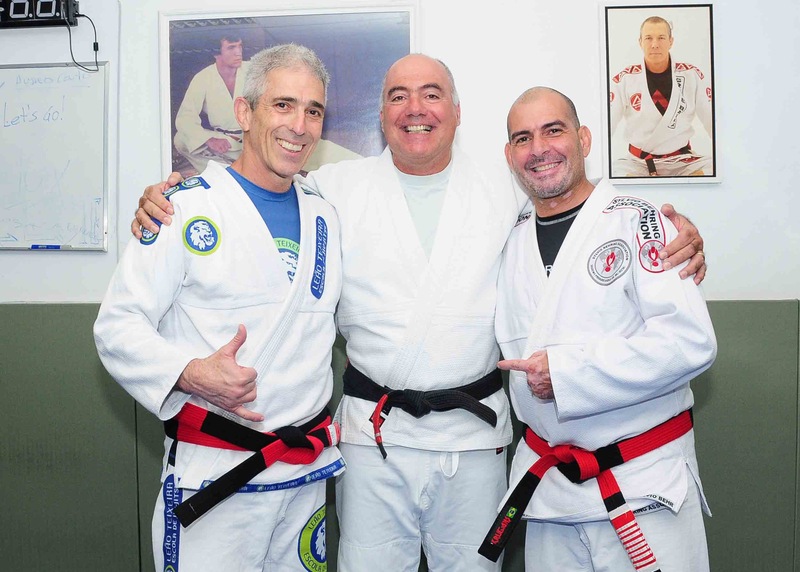 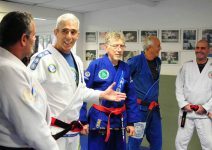 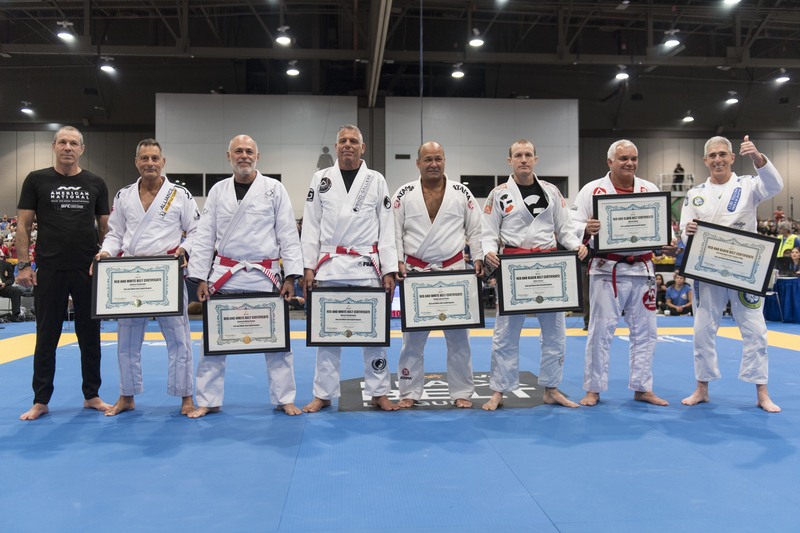 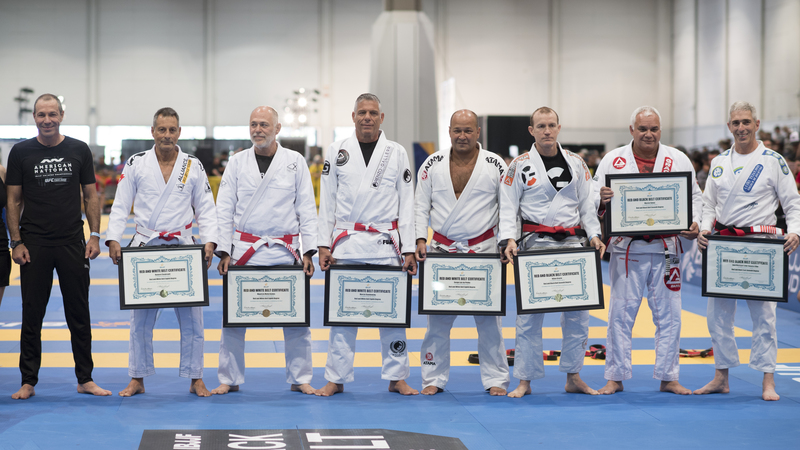 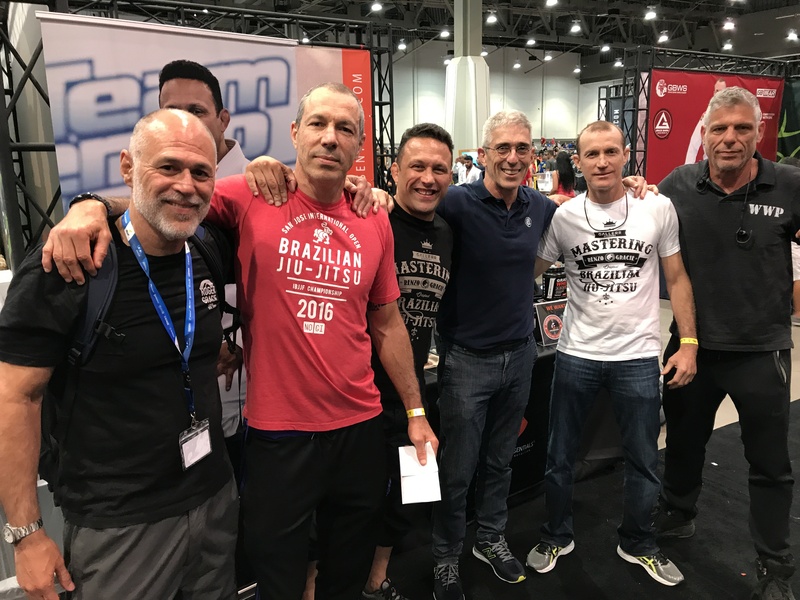 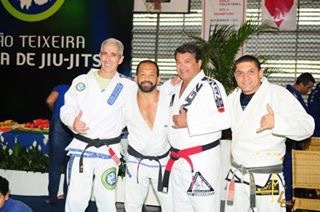 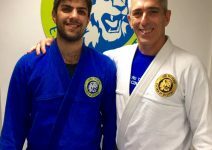 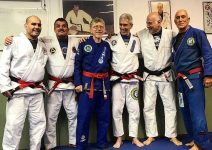 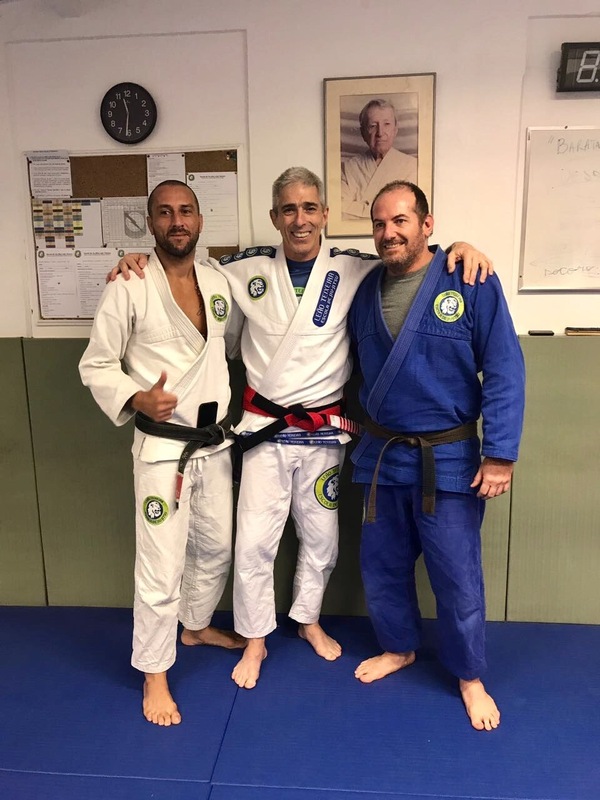 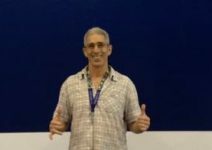 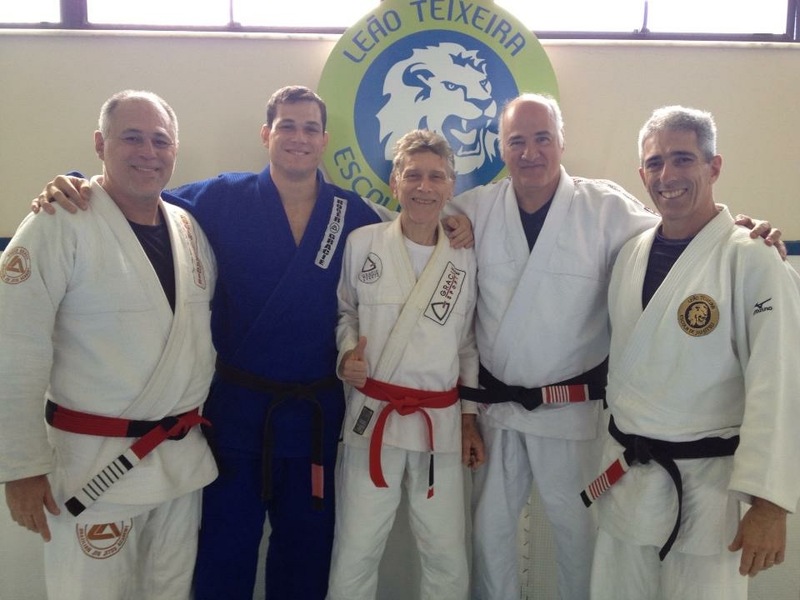 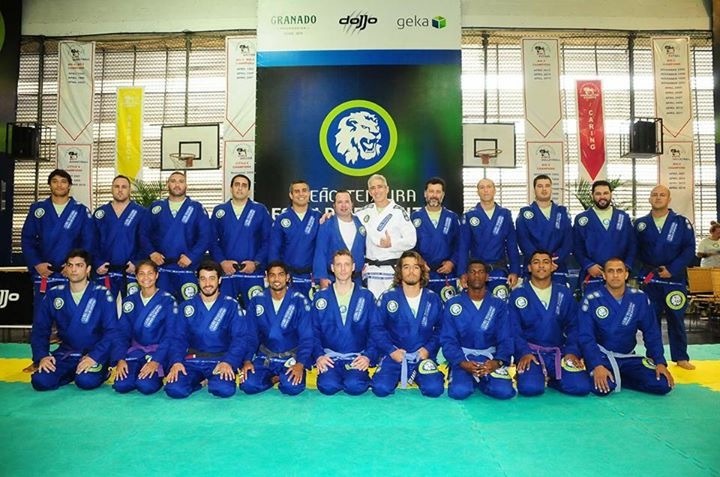 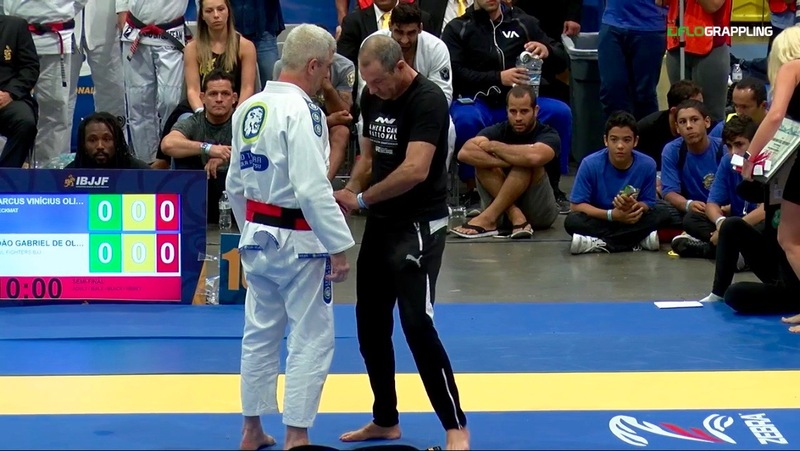 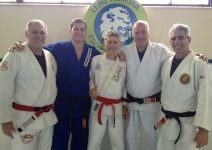 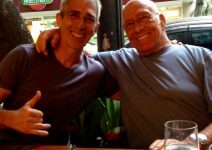 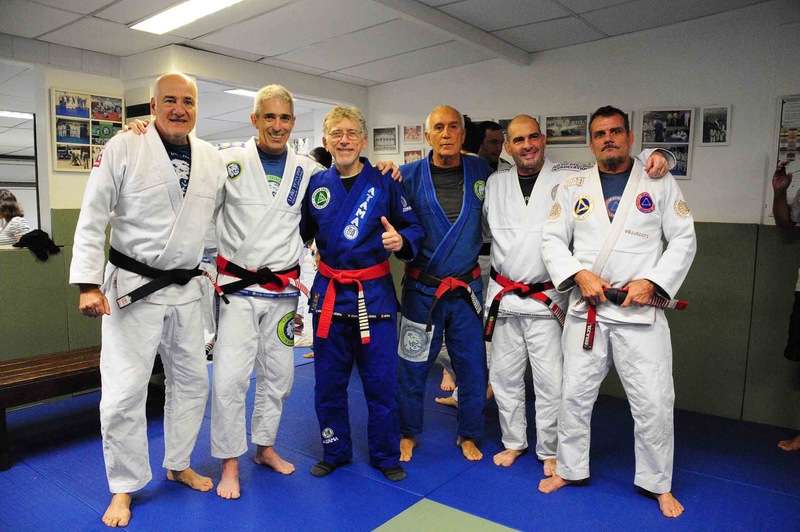 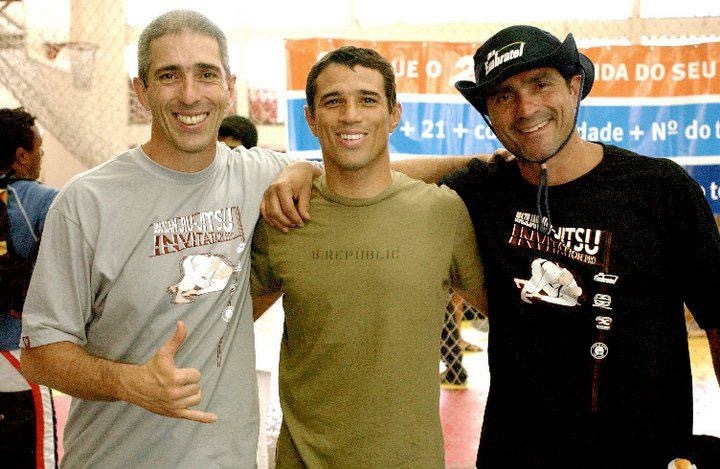 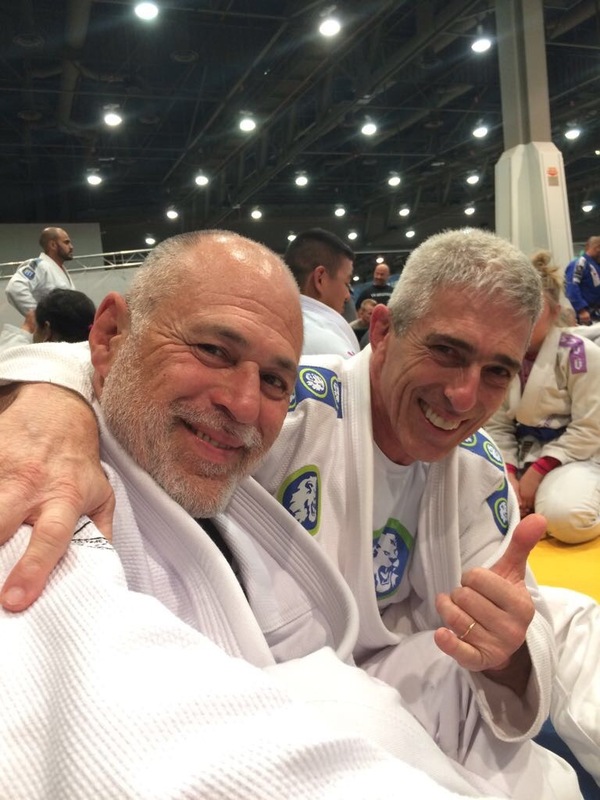 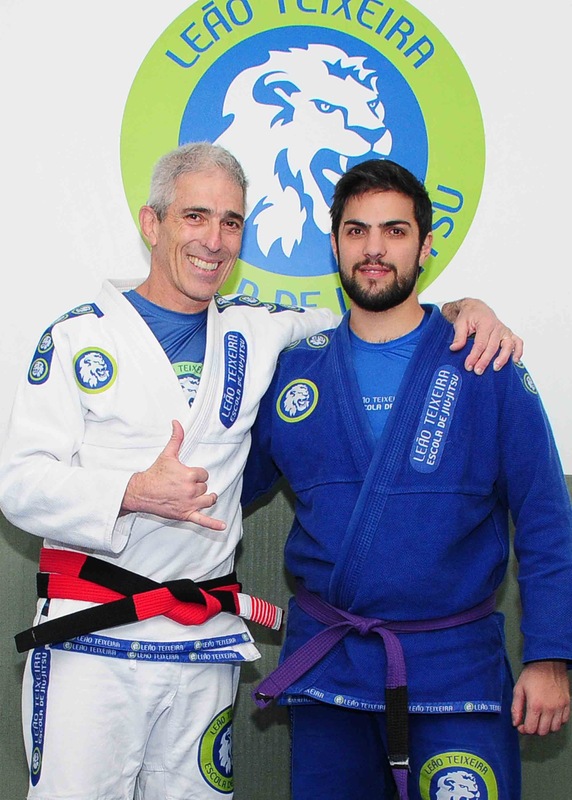 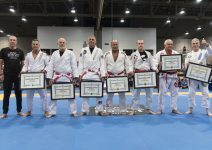 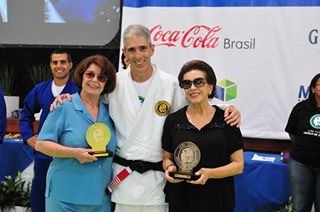 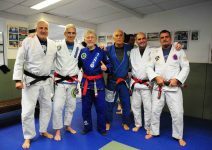 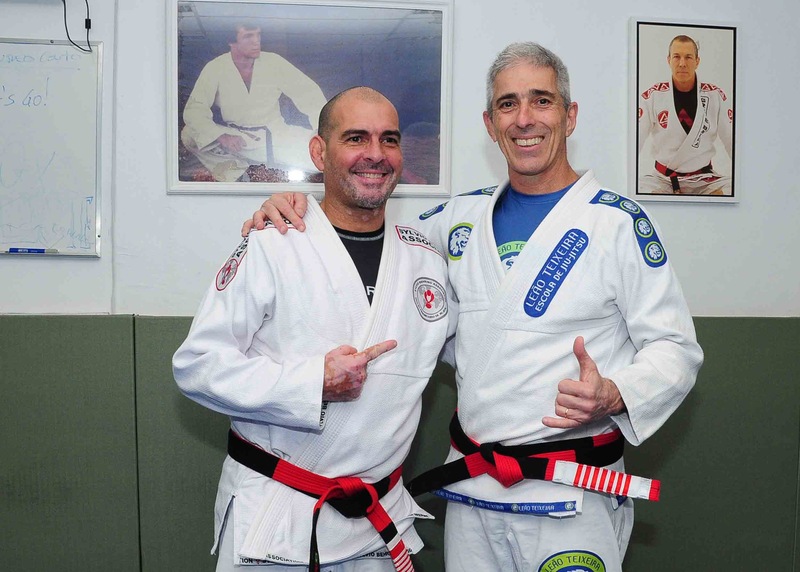 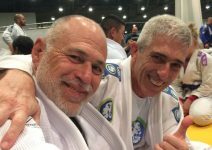 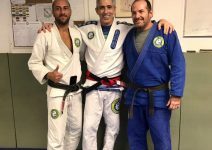 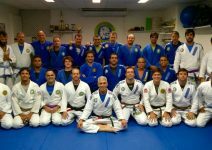 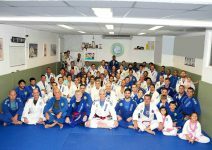 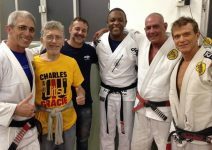 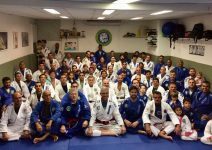 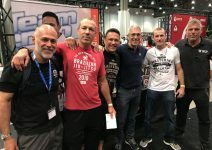 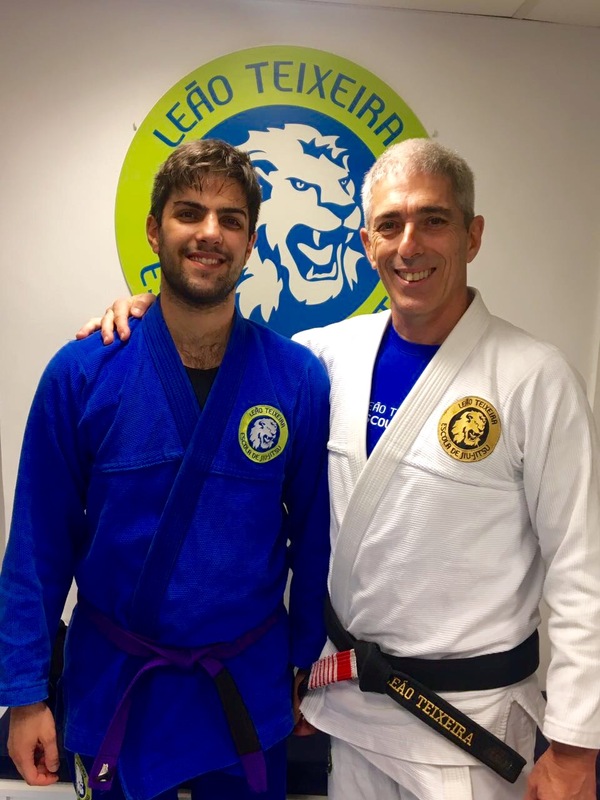 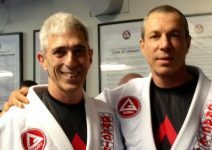 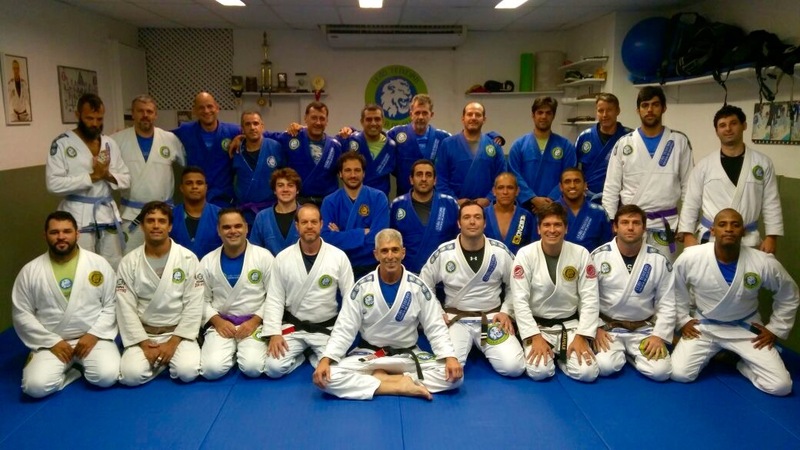 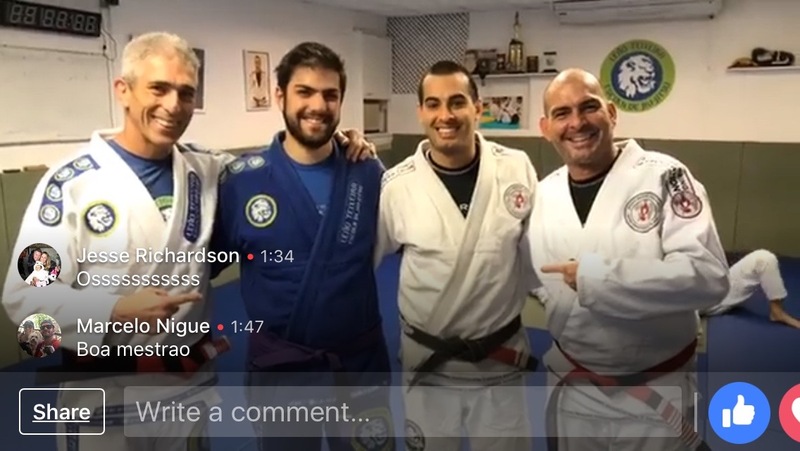 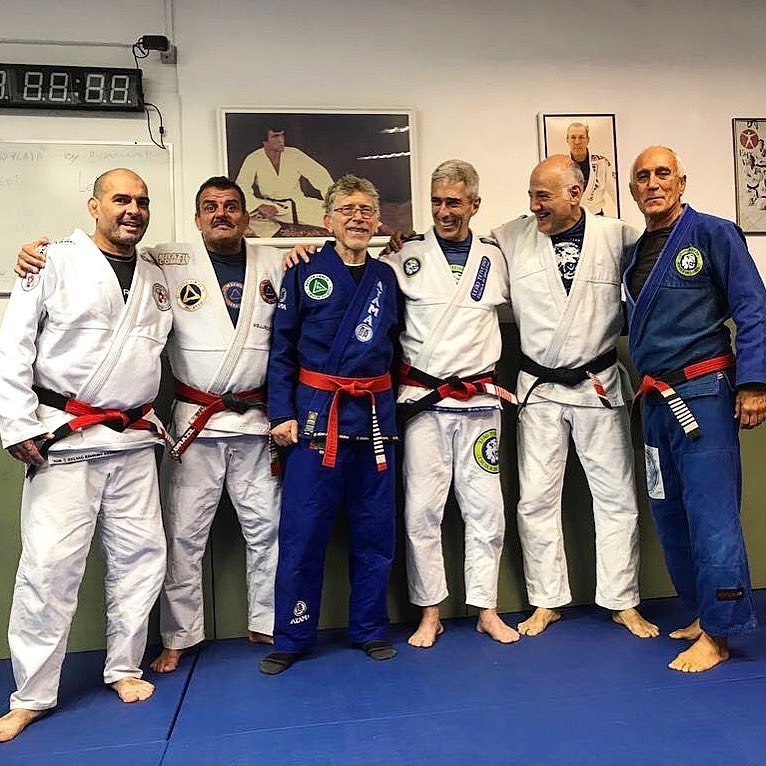 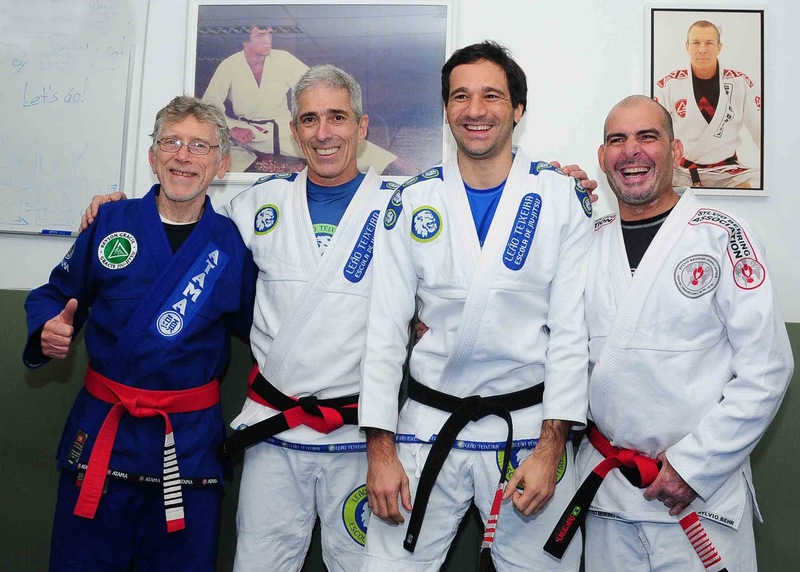 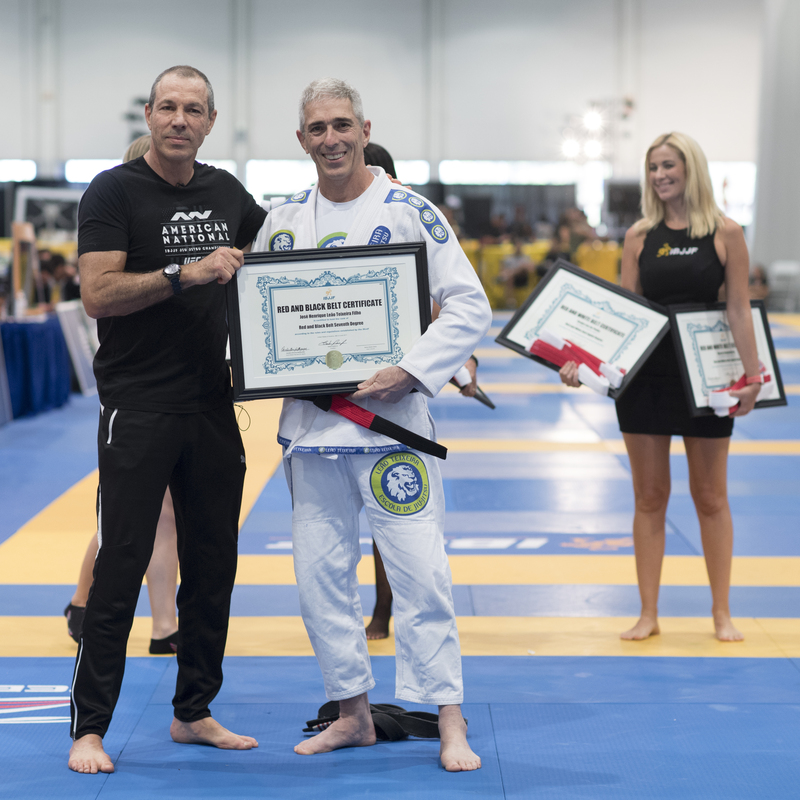 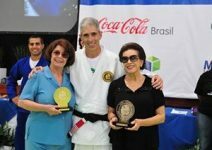 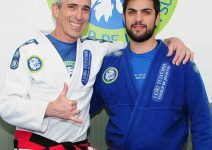 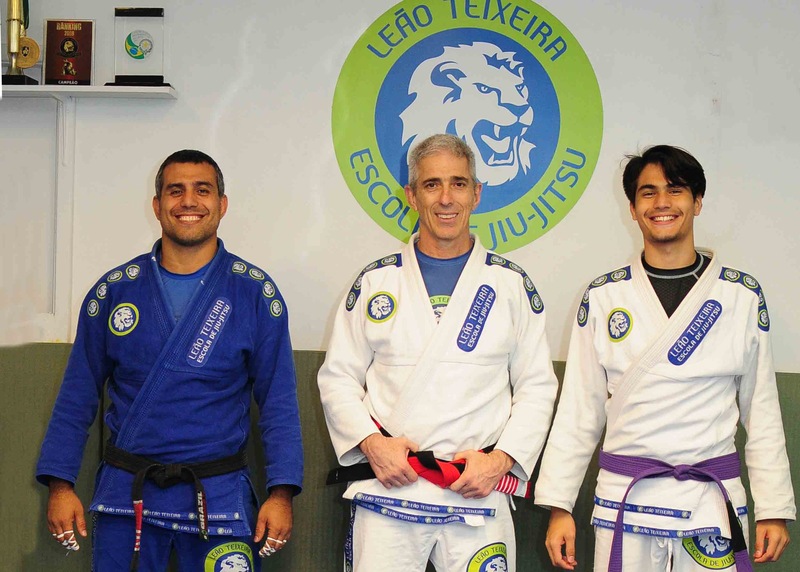 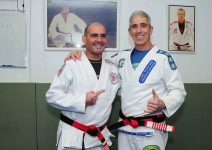 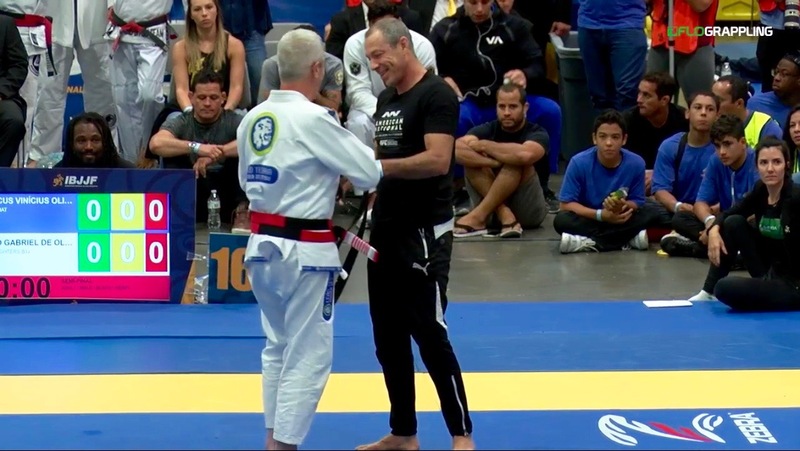 On the 26th of August of 2017, in a ceremony during the World Masters in Las Vegas Master Leão Teixeira received his new belt from the hands of the IBJJF president, and also his former teacher, Carlos Gracie Jr., alongside his great friends Maurício Gomes, Marcio Stambowsky, Romero Cavalcanti, Sergio Penha, Marcio Simas and Rilion Gracie. 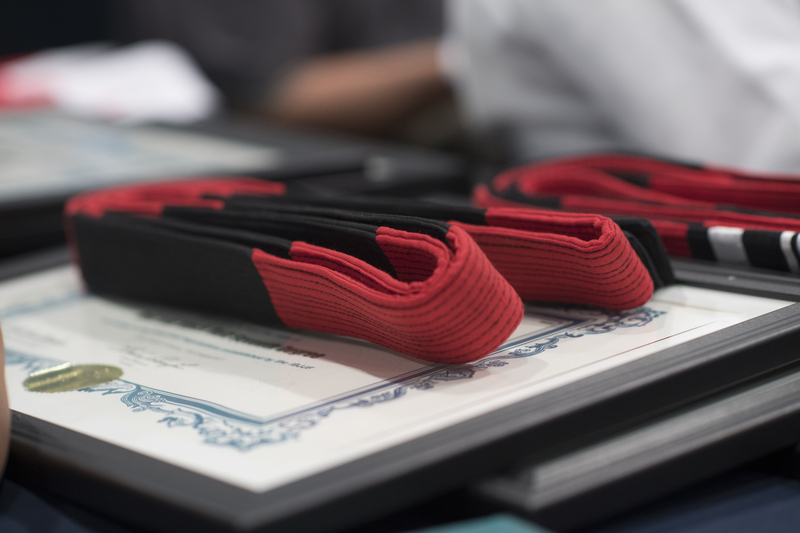 Mind, body, breathing, technique, respect and discipline are seen on each stripe of that graduation level! 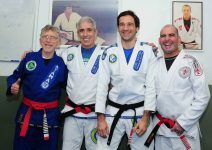 Thank you Master! 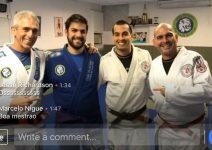 the ceremony was broadcasted live through the FloGrappling website. 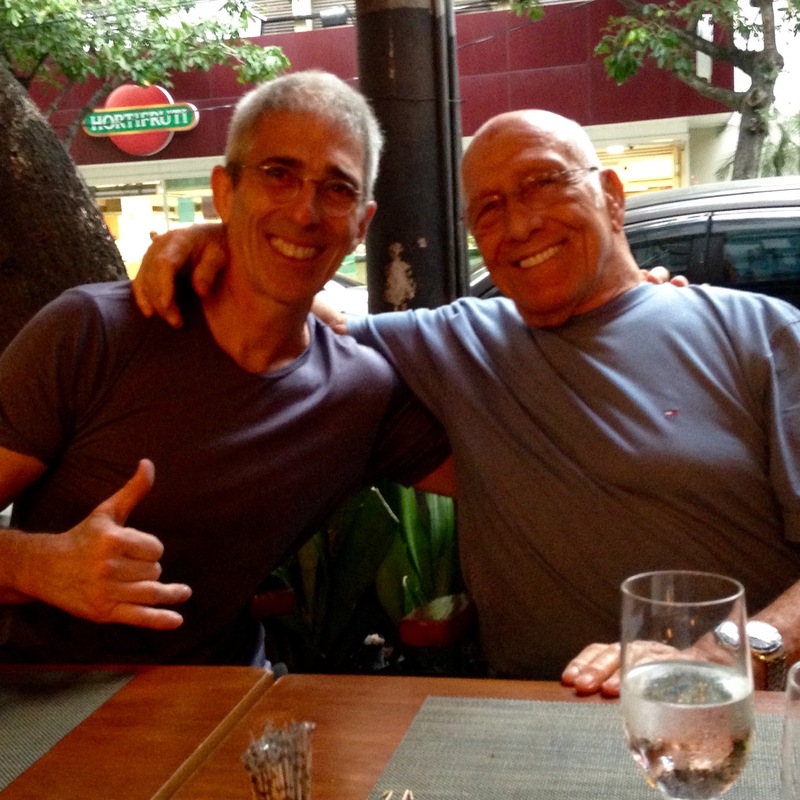 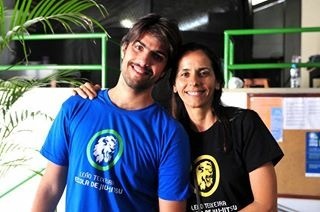 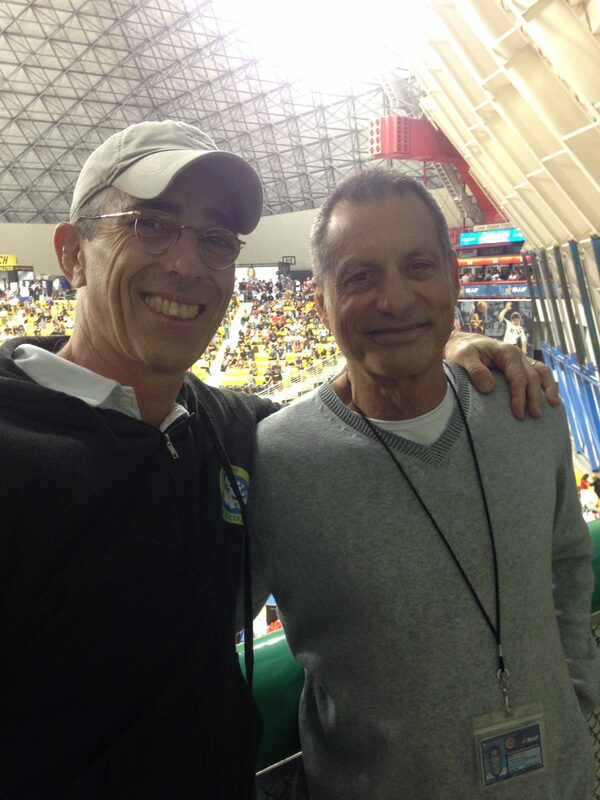 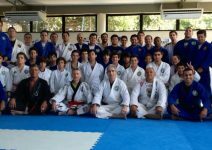 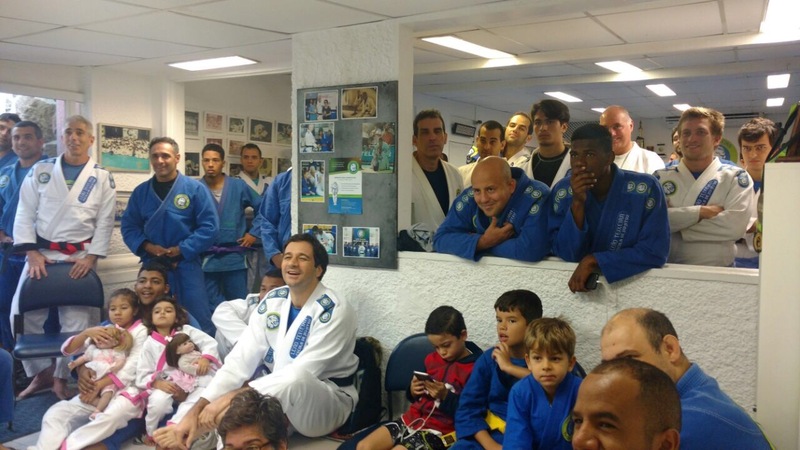 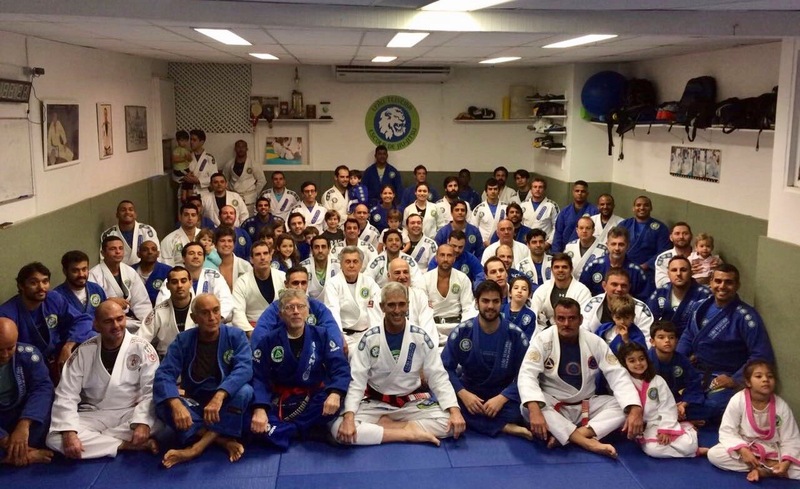 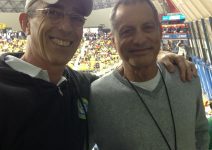 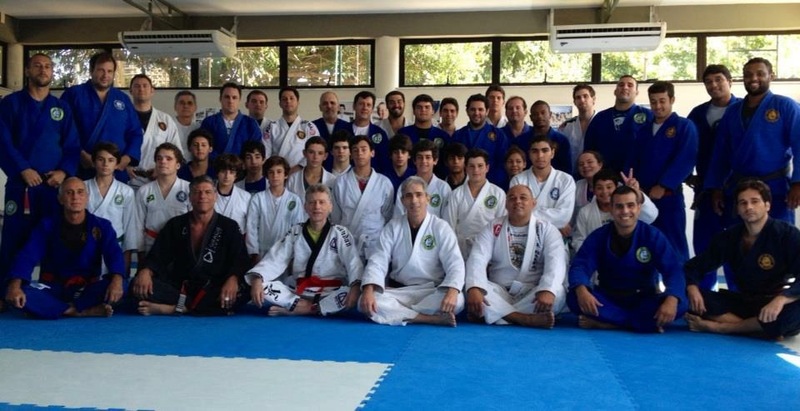 Back in Rio de Janeiro, the students organized a great welcoming reception for the Master at the headquarters in Gávea.